Sony @ GamesCom '09: What To Reasonably Expect. Sony are scheduled to show up at the event next week and deliver a press conference on Tuesday 18th at 7:00PM CET. But what can we reasonably expect from the event? We look past the hype to deliver our expectations for Sony at GamesCom 2009. With so many rumours in the Playstation 3 Slim ballpark and stock currently drying up around the word; it's looking like either a new SKU, a price-drop or the rumoured PS3 Slim announcement will happen at GamesCom. Likely the latter. Many of us expected the announcement to be made later in the year at TGS, but the timing seems right now. With the summer vastly falling behind us, and the slog into Christmas fast approaching, Sony will want to use the PS3 Slim as a way to remarket their system. Having been hit with negative press and piles of hypocritical onslaughts, Sony will want to totally rebrand the Playstation 3 system. The emphasis on new hardware, new marketing and refreshing branding will provide the opportunity to start again. We Expect To See The Playstation 3 Slim In Some Form Or Another. Microsoft are likely to counter the price drop - probably during GamesCom announcements of their own - but the ball will firmly remain in Sony's corner given the magnitude of Sony's announcement; entirely revamped hardware. Expect the Playstation 3 Slim to do little new, simply offering more reasonable pricing, the possibility of more aggressive pricing in the future, and a slight image rebranding. Playstation 2 backwards compatibility may be a possibility for the PS3 Slim, but we expect Sony to start rolling out Playstation 2 games via the Playstation Store instead. How Confident Are We? - 80%. It's done when it's done. And Yamauchi says it is done. 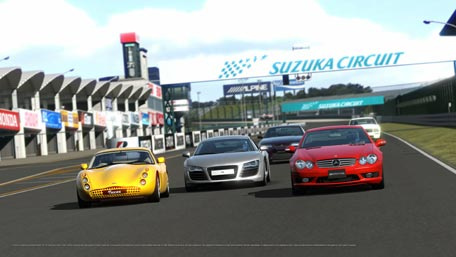 Recent hints of a Christmas release date seem to suggest that Gran Turismo 5 is gearing up for that all important late-2009 release date. With Gran Turismo PSP seemingly leading the line for the PSP's resurgence; it makes sense to use a similar mentality in rebranding the PS3 Slim. All The Signs Hint Towards A Surprise 2009 Release For GT5. Expect nothing more than a simultaneous worldwide release date and a trailer for Gran Turismo 5 at GamesCom. The rightful place for hands-on gameplay will be at the Tokyo Game Show. We'd pitch the release date at somewhere early into December. If Sony are smart, they'd also do well to bundle the game with PS3 Slims and really agressively market the package. How Confident Are We? - 70%. 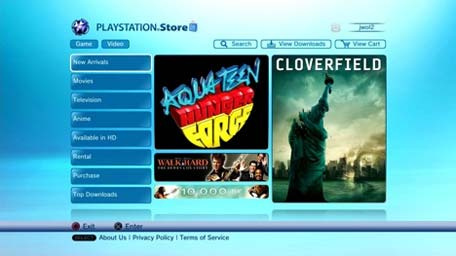 Rolling out what the US already have, we're already pretty certain that the Video Store is to hit Europe via comments made on the Official Playstation Europe Blog. For what it will entail, we're not certain, but expect similar content to the US with a lag in rolling it out. A rental subscription service is a possibility and compatibility with the PSP Go is extremely likely. How Confident Are We? - 95%. Studio Cambridge are employing and IGN reckon there is an unannounced game on Sony's lips. While the game could of course be anything, we're quietly expecting an announcement from Studio Cambridge simply because it feels right. The European location is perfect for the studio, whereby announcements from the likes of David Jaffe and Lightbox are more inclined to an American setting. The Video Store Has Always Been Planned To Hit Europe At Some Point. This is probably the most outlandish of our "reasonable" expectations, but we couldn't not throw this out there. We've just got vibes, y'know? How Confident Are We? - 30%. Gearing up to the launch of the PSP Go we expect to see plenty more from Sony's latest handheld system. An official announcement of the European price is likely to be clarified, alongside an announcement of the rumoured PSP Go app store. Providing micro content at a fraction of the price via the Playstation Store, expect Sony to show off a reel of content that is perhaps fixed to the sub-£1 price point and gives you pick-up-and-play entertainment from your PSP Go's XMB. Free-to-cheap developer toolkits are also likely to be announced. How Confident Are We? - 60%. Expect plenty of new content for Heavy Rain, Uncharted 2: Among Thieves, Eye Pet, Gran Turismo PSP, LittleBigPlanet PSP and Motorstorm: Arctic Edge. Quantic Dream are likely to be the focus of the show, showcasing further gameplay, character and plot for their upcoming dark-thriller Heavy Rain. LittleBigPlanet PSP is also likely to be showcased, revealing the scale of the game's creativity now shrunk down onto the PSP. Other announced content will probably be provided via show-floor demonstrations and reel trailers. How Confident Are We? - 100%. With Media Molecule teasing an announcement to coincide with the day of Sony's press conference at GamesCom, we're definitely expecting something. We're not jumping to the conclusion of a new game from the British team though - more we expect enhancements on the original. Level-packs are our most wanted, but recent chatter from the developer seems to suggest that they're considering enhancing the tool set. In which case we're sure we'll see something new for LittleBigPlanet. How Confident Are We? - 65%.